Sun, sweat, swim or tears? No problem. This lifeproof liner doesn't bat an eye at whatever your day brings. Precision eyeliner is a creamy glide of richly-pigmented color that will not budge, smudge or fade until you remove it. Dot the pencil along the base of the lash line in evenly spaced intervals across the entire eye. Next, go back and connect the dots; fill in the gaps to create one, uninterrupted line. For a thicker line, repeat Steps 1 and 2. For a softer line or a smoldering effect, smudge or blend right after application before product sets. 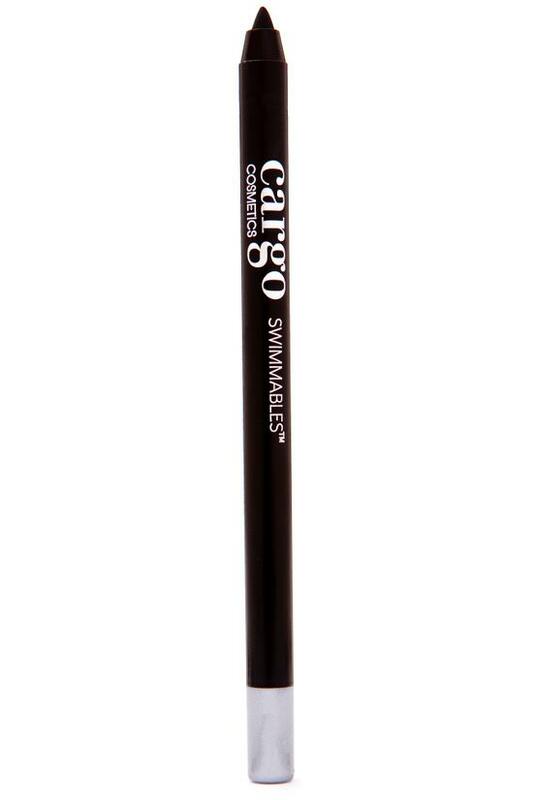 Beloved by the industry's top makeup artists for their fresh, innovative and fun products, award-winning Cargo Cosmetics delivers simple, professional results easy enough for anyone to achieve. Their Swimmables™ collection of high-pigment, water-resistant color glides on gorgeously and is blissfully lifeproof – it won't sweat, smear, run or fade, staying fresh until you're ready to call it a day.